I was watchingÂ TV the other night, and a commercial for Western Sky came on.Â The commercial stated that you could have up to $5,000 deposited into your account by the next day.Â The next thing that was said is what really got my attention.Â The lady speaking on the commercial said ‘yes, the money is expensive, but it’s still cheaper than a payday loan.’Â They are admitting that the interest rate is high! I had to know how high. I was astounded that they can actually charge 116.73%! I was mortified that a $5,000 loan would cost $486.58, and I was plain right disgusted to find that this $5,000 loan would cost $40,872.72 when everything was said and done. 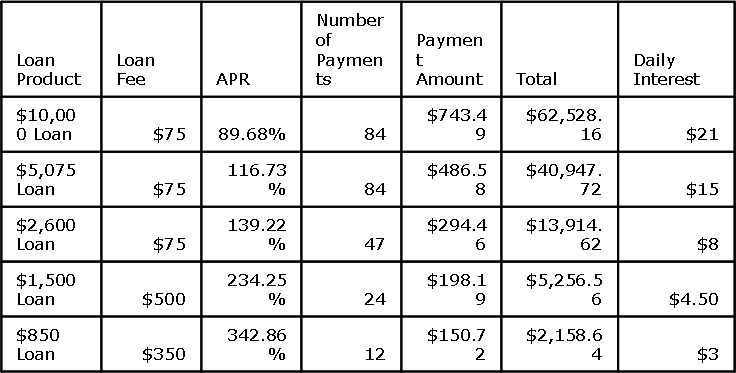 I had to know more.Â I visited this crooks website to find even higher loan rates.Â I also found that there is a $75 loan origination fee, bringing the grand total to that $5,000 loan to $40,947.72. 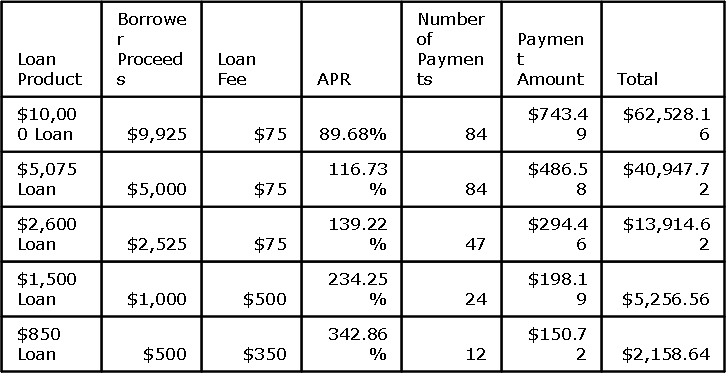 Here is a chart of their loans and rates.Â I am going to go ahead and calculate all the totals for you. I’d like to take this a step further and show you how much interest you pay every day! I am averaging this out over the course of the loan. Can you imagine paying $21 a day in interest for a personal loanÂ (not counting your mortgage)?Â These types of loans go after people who are desperate for fast cash.Â Fast cash says it all.Â The interest charges will add up quick! I hope that this article will help anyone out there looking for a loan.Â If this is your only option to buy necessities such as food, then I guess it’s necessary.Â I hope you have exhausted every other option available.Â This is a horrible loan to obtain, and should be avoided at all costs.Â I will say it again, DO NOT APPLY FOR THIS TYPE OF LOAN! It might as well be considered a scam.Â I will not even include a link to this site, even for amusement purposes.